Some learners of German use their accent to emphasize their cultural identity. Others want to lose it as quickly as possible so as not to stand out among native speakers. German studies expert Ursula Hirschfeld explains why that is not all that easy. Professor Hirschfeld, as soon as the boy François opens his mouth in the cinema film “Bibi und Tina – Mädchen gegen Jungs”, it is immediately obvious that he is French. How is it that we can tell from a person’s accent what their mother tongue is? This has to do with the way in which characteristics and rules of pronunciation from a person’s native tongue are transferred to their second language. There are specific relationships between the two languages in terms of their vowels and consonants, and in terms of their intonation, rhythm and accentuation, with the result for example that a Russian speaking German or a German speaking English will have a typical accent that we recognize. According to “Current Language Attitudes in Germany”, a 2009 study conducted by the Institute for the German Language (IDS), French and Italian accents are very popular with German native speakers, yet many Germans do not like a Russian or Turkish accent. Why are there such different perceptions of foreign accents? Prof. Dr. Ursula Hirschfeld | Photo (detail): © Private Subjective assessments of spoken language depend on the one hand on the sound of the language we are listening to: is the language in question a melodious language, for instance, or does it tend to use more variations in volume? Are there a lot of vowels and voiced consonants, or more sequences of unvoiced consonants? In addition, a role is played by the relationship we have with the speaker’s native language: our perception of languages to which we cannot relate will be different to our perception of those to which we feel a connection, perhaps because we speak them ourselves. Finally, our assessment will also be influenced by our relationship with the culture and society in which the language in question is spoken. What can be the consequences for the speaker if their accent is disliked by German native speakers? A whole series of studies shows that people who have a typical immigrant accent will not enjoy the same opportunities when it comes to choice of profession or finding a job. It must be assumed that they will also be marginalized in other social or personal contexts. This does not apply only to people with a foreign accent, however, but also to those who have a strong dialect-based accent and move to another region, and to people who stutter or have some other speech impediment. Whenever a person’s speech differs from the usual or from the expected norm, discrimination can be the result. Nonetheless, numerous studies into ethnolects and Kiezdeutsch (i.e. the German often spoken by young immigrants) indicate that young people intentionally speak with a foreign accent even though they can speak standard German. Why do you think this is? Young people often want to set themselves apart from other age and social groups: the existence of youth languages is a phenomenon that has long been observed. In the case of foreign adolescents, it may be a question of wishing to emphasize a certain part of their identity when they speak with the accent of their mother tongue. There are similar studies of Japanese youngsters who have lived in a German-speaking country for a long time and speak very good German, but then adopt an accent in their language courses when back in Japan so as to be integrated into the group and not viewed as outsiders. Should teachers of German nonetheless encourage learners to speak without an accent? Naturally teachers should initially encourage their students to communicate with as little inhibition as possible despite any accent they may have. It should be clear to everyone concerned that learners of a second language will probably never sound like native newsreaders. However, people with no accent will have the fewest communication problems and will be easily understood in any part of the country. As such, it is desirable to speak without an accent, regardless of any potential discrimination. This applies particularly to future foreign language teachers: after all, despite audio CDs, videos and the many opportunities for listening to German on the Internet, they are the most important language role models for their students. Many learners of German would like to speak without an accent but do not succeed. Why is that? Learning to pronounce a different language requires us to develop new listening patterns and speech movement processes at the fine-motor level. A person who does not distinguish in their first language between long and short vowels will not for example be able to hear the difference between ‘Staat’ und ‘Stadt’ in German. And a person who is familiar only with accentuating the final syllable will not hear the difference between ‘UMfahren’ and ‘umFAHREN’. To do so requires intensive listening practice. Learning and automating specific muscle movements in the mouth also poses a challenge. As a result, deviations in pronunciation can even be detected in learners who have reached a very advanced level of proficiency. Unfortunately, some teachers of German are not well trained in phonetics; they do not know any teaching or learning methods apart from the imitation method and are unable to provide learners with targeted help. What is more, there is frequently a lack of suitable teaching material, and exercises in textbooks are not sufficient to allow learners to specifically practise listening and to automate new speech movements. Can you give us an example of ideal phonetic training? Correctly pronouncing the most important German word – Ich – is a big problem for people all over the world. And yet there is a very quick and straightforward way in which to practise this. All one needs to do is whisper the word Ja – that is something any learner of German can do. Concentrating on the consonant, one then whispers it loud and clearly – that is how to correctly pronounce the Ich sound. This should be repeated lots of times until one feels one has mastered it and can also recreate the sound in other phonetic combinations – whispered at first, and then spoken out loud – e.g. “Ich – ja”. 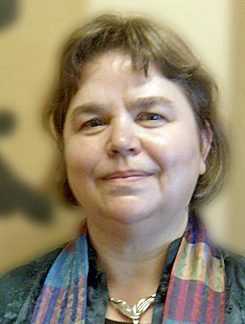 Dr Ursula Hirschfeld has been a professor of speech science, specializing in phonetics, at the Department of Speech Science and Phonetics at Martin Luther University Halle-Wittenberg since 1999. Janna Degenern is a linguist and works as a free-lance journalist in Königs Wusterhausen near Berlin.